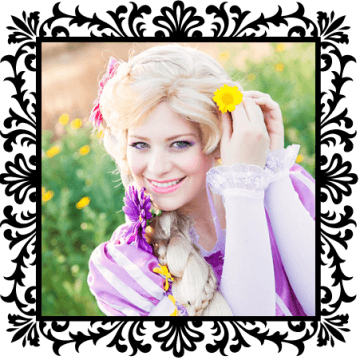 Rapunzel is Spreading Kindness this Thanksgiving! You can too! Hello my lovely friends! I’m so grateful to be surrounded by my friends and family this time of year! After spending so much of my life in a tower, I try to embrace the holiday spirit as much as possible and spread the joy of love and giving with everyone! Every year, my family invites all of the kingdom to our castle for a Thanksgiving feast! We are so blessed to have plenty to share and all are welcome to join us on this special holiday! It’s important to me to show kindness to the kingdom’s people, as they have shown such amazing kindness to me. My favorite part about our Thanksgiving feast is getting to know the kingdom’s people better. Every person has a story to tell and I love to hear about their dreams in life! Plus, when we spend time with people that we don’t know as well, it helps our kingdom grow closer! Maybe you will help the people who live around you have a Thanksgiving feast as well! There are many people who are not as fortunate and could use your kindness this holiday season. Consider donating food to a food bank or serving meals to the homeless this Thanksgiving! Reaching out to those less fortunate around you and showing them your love and kindness is the best way to get in the holiday spirit! If you’re local to Orange County, Operation Warm Wishes is hosting a Thanksgiving Spectacular for those less fortunate. Please click on the link to see how you can get involved! I’m so thankful for my family, friends, and my little Pascal. What are you thankful for this year?